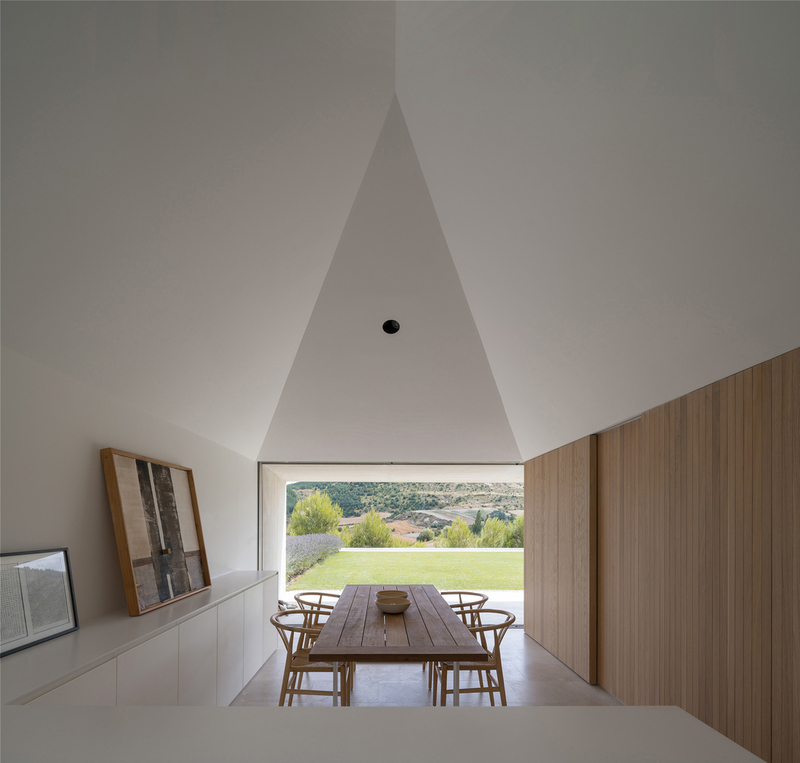 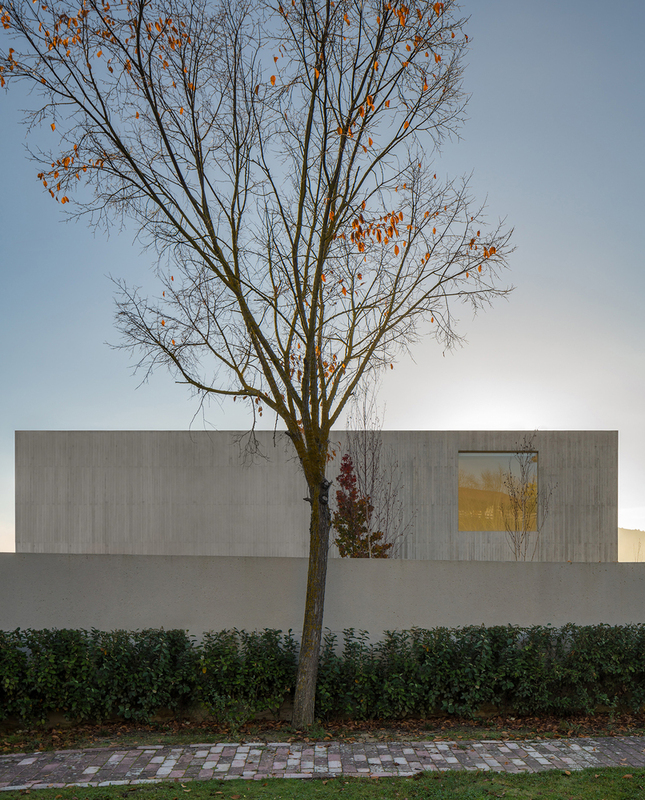 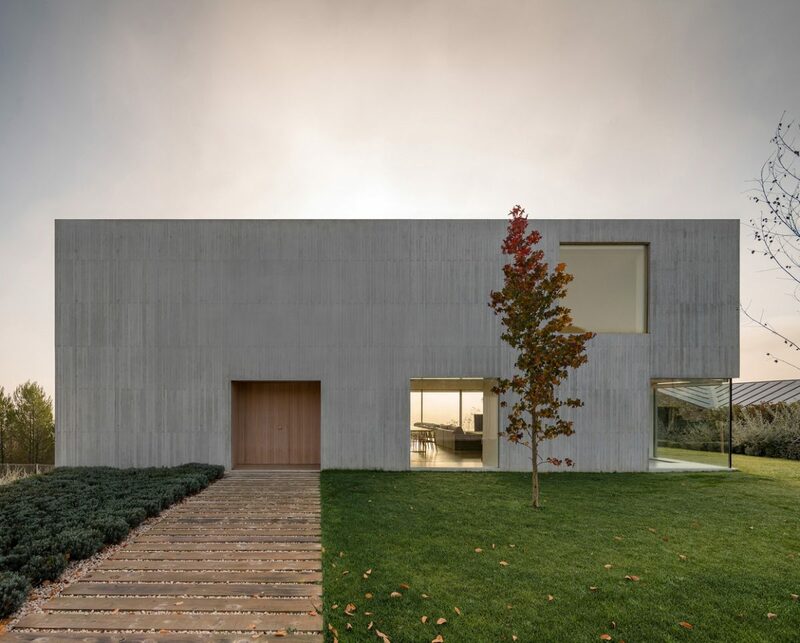 The plot is located in an urban nucleus of new creation in the periphery of Pamplona. 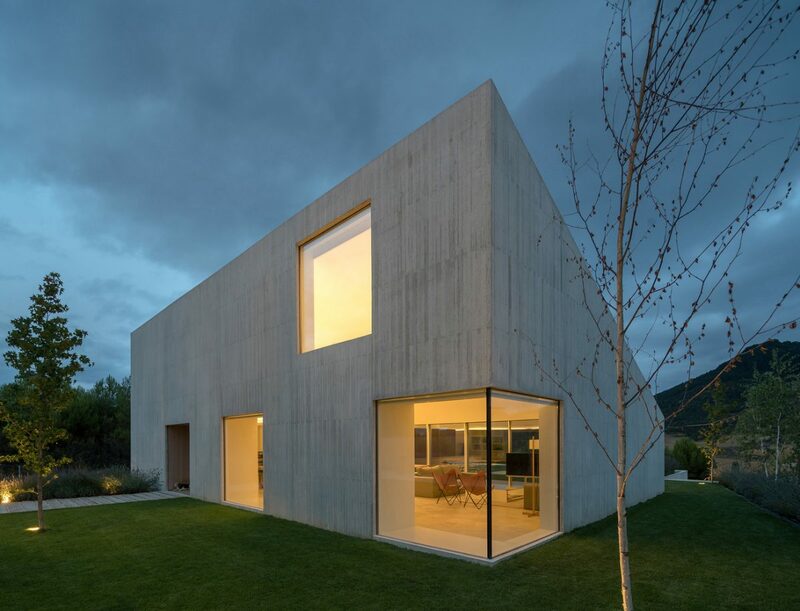 It has a rectangular floor plant with elongated proportions. 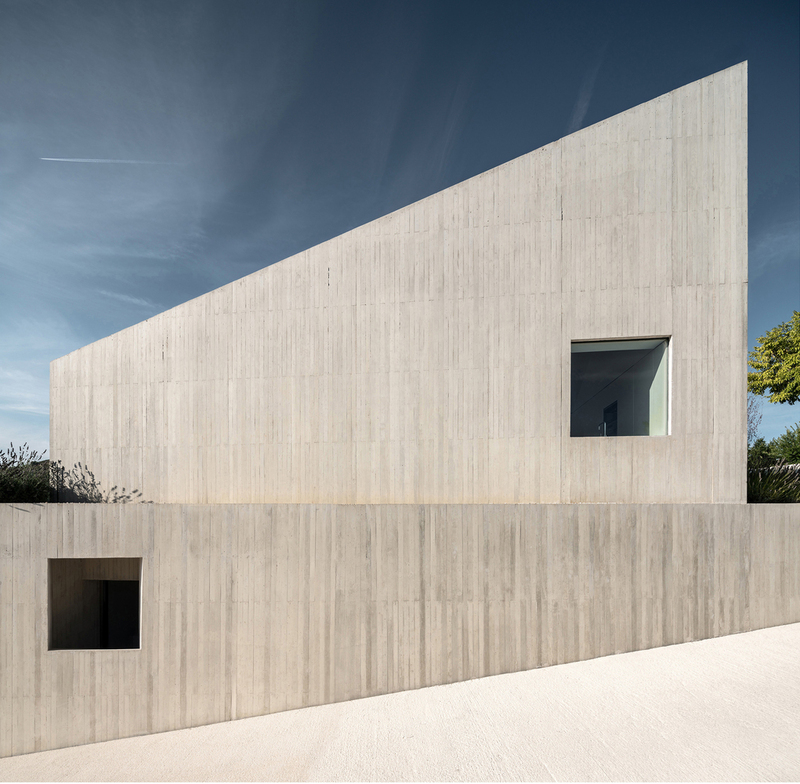 The site presents a very steep topography with a difference of 16 meters in the east-west direction. 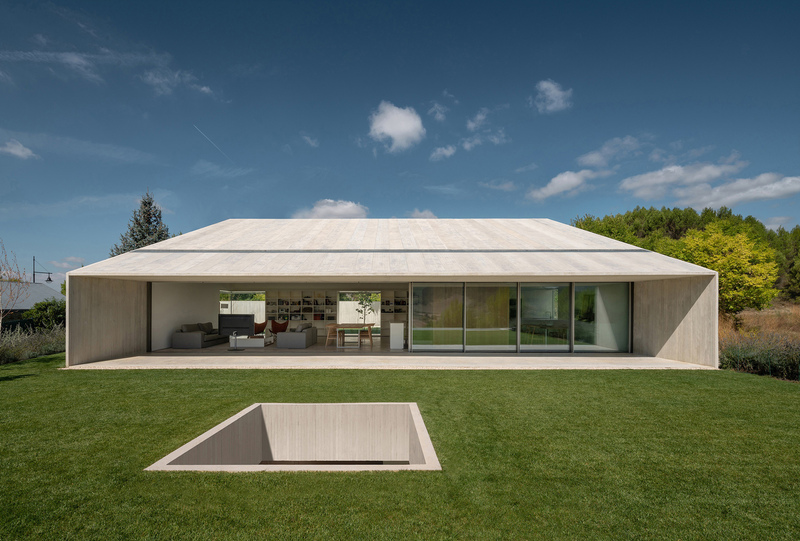 In addition to the program, the rest of the conditioning factors of the project were linked to compliance with the current legal regulations, which highlighted the obligation to make inclined roofs, indicating that at least 60% of the roof must have a 30% slope. 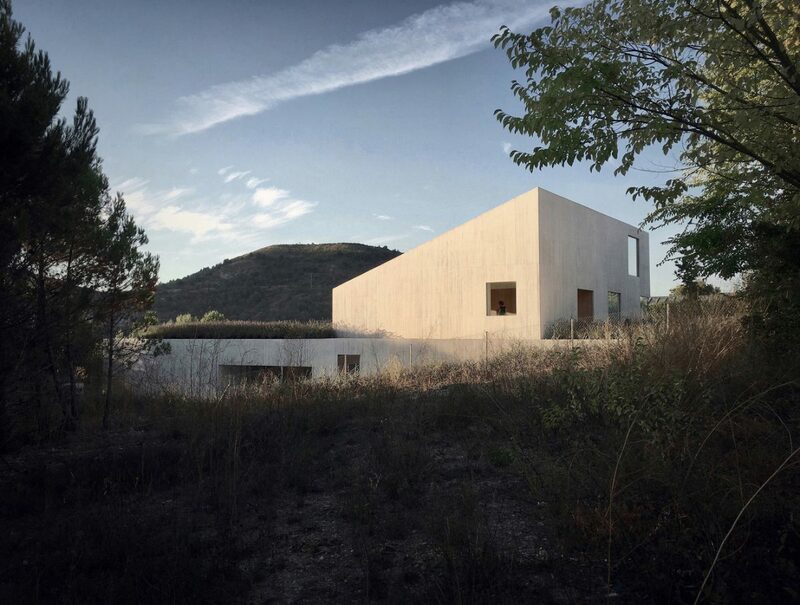 The house is fragmented looking for a good settlement on the slope on one side and on the other a discreet presence through a simple volumetry, of a friendly and close scale. 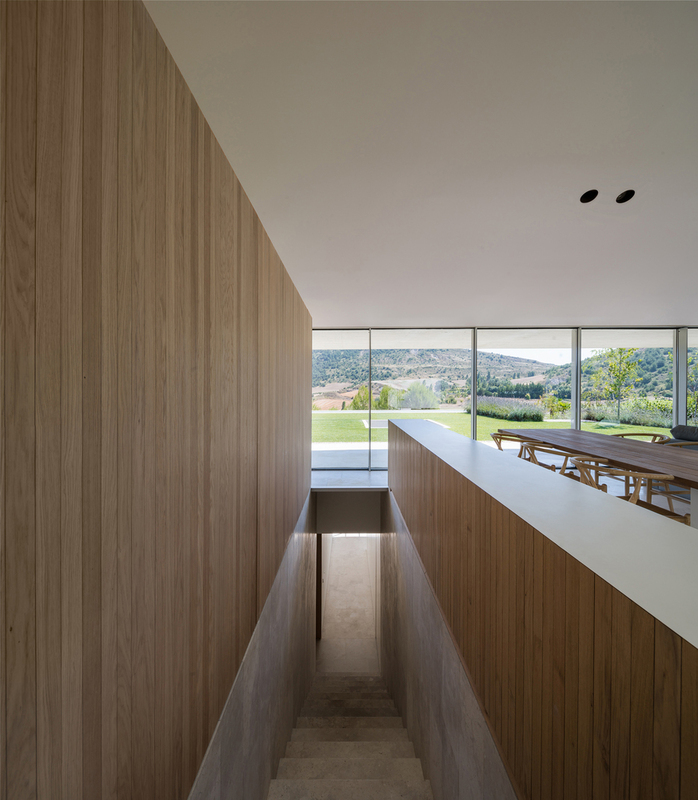 The project is developed in two floors: one at street level in its upper level with the day program of housing and one lower with the night program. 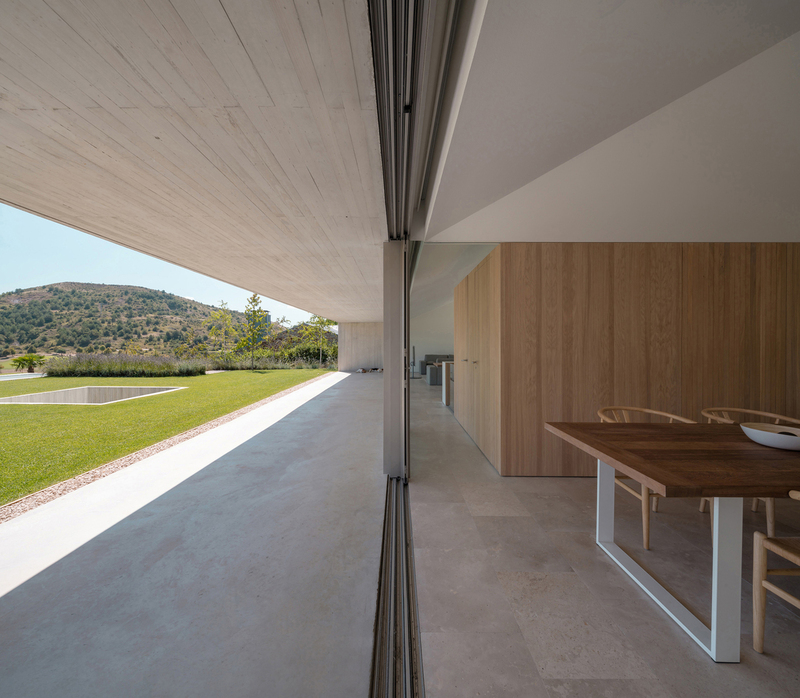 Both linked areas, enjoying and protecting themselves, permanently with the dimension of the landscape they face. 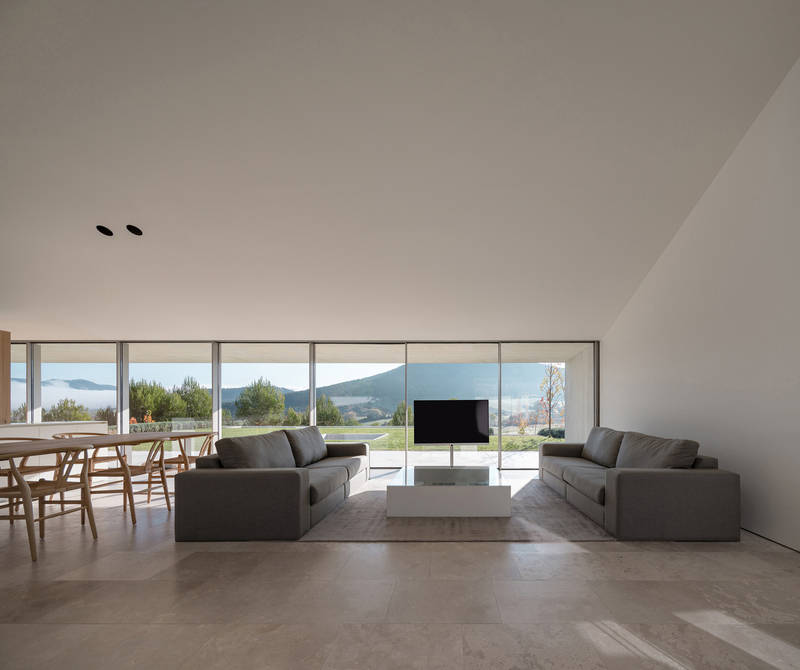 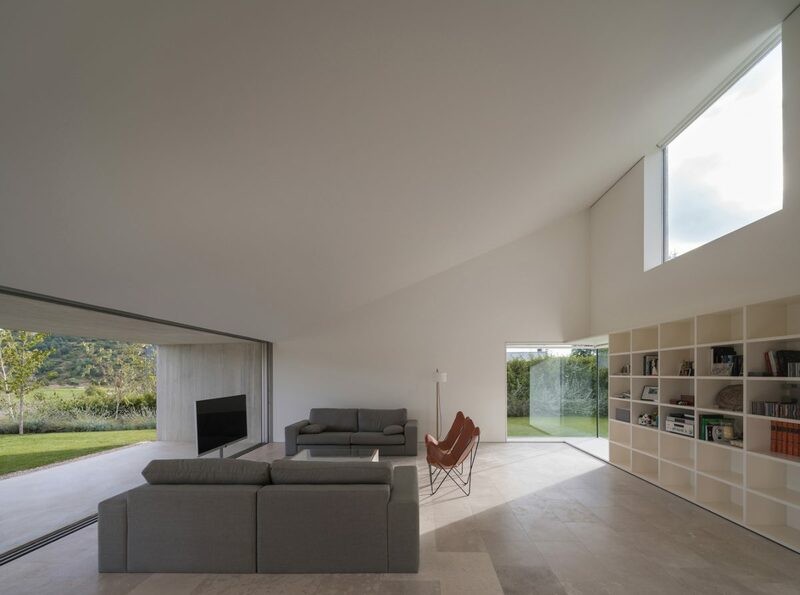 The lower area materialized as a compressed plinth, which allows a more recollected dwelling, in front of the upper level that is shaped like a large window space for the enjoyment of pleasant distant views. 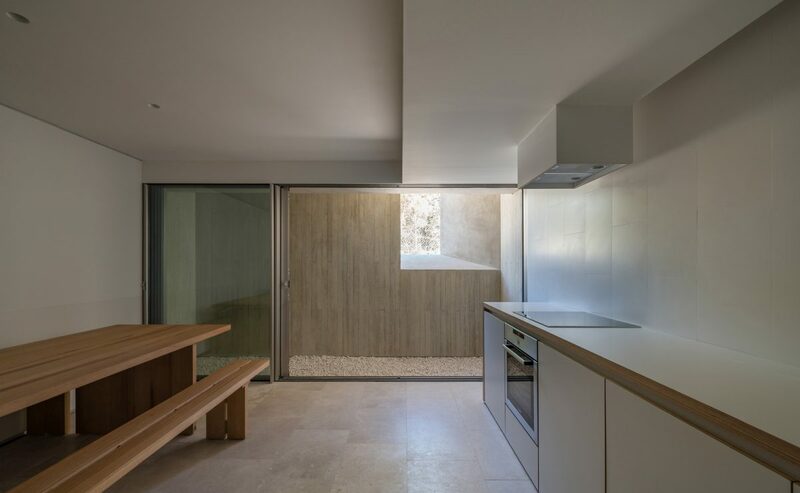 This basement also allows to generate a horizontal landscaped area for the enjoyment of the areas of the upper level, to whose volume all the protagonism is transferred. 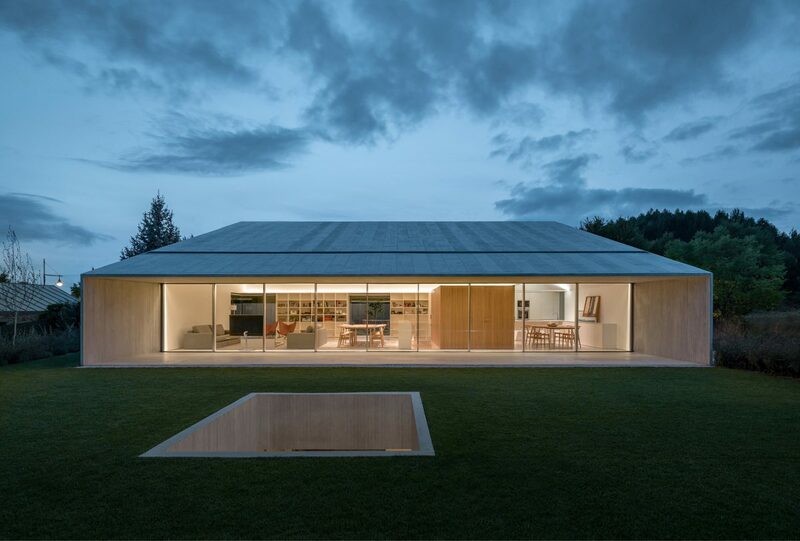 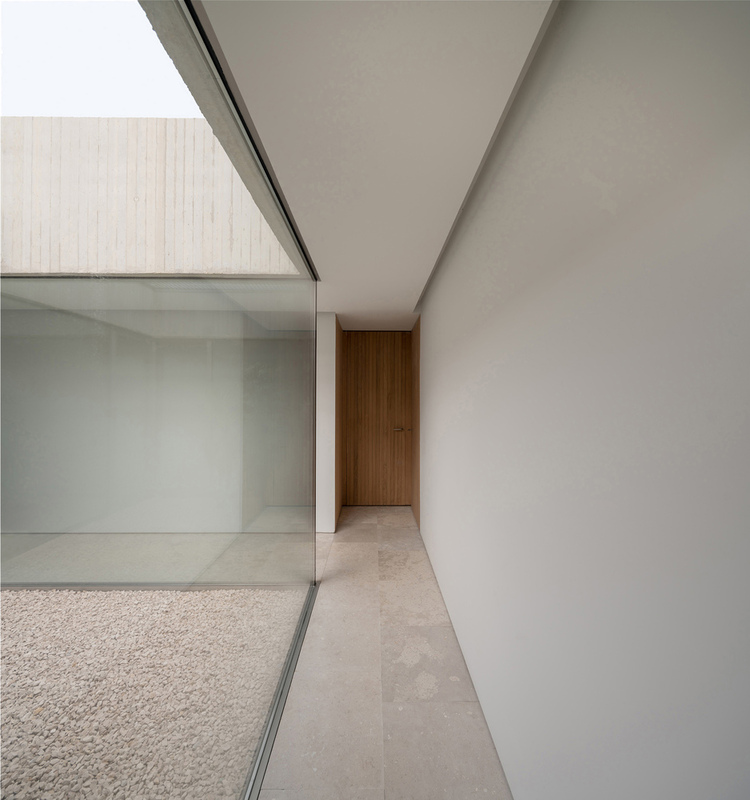 We like the idea that the house is shown to the visitor’s gaze only as the superior piece. 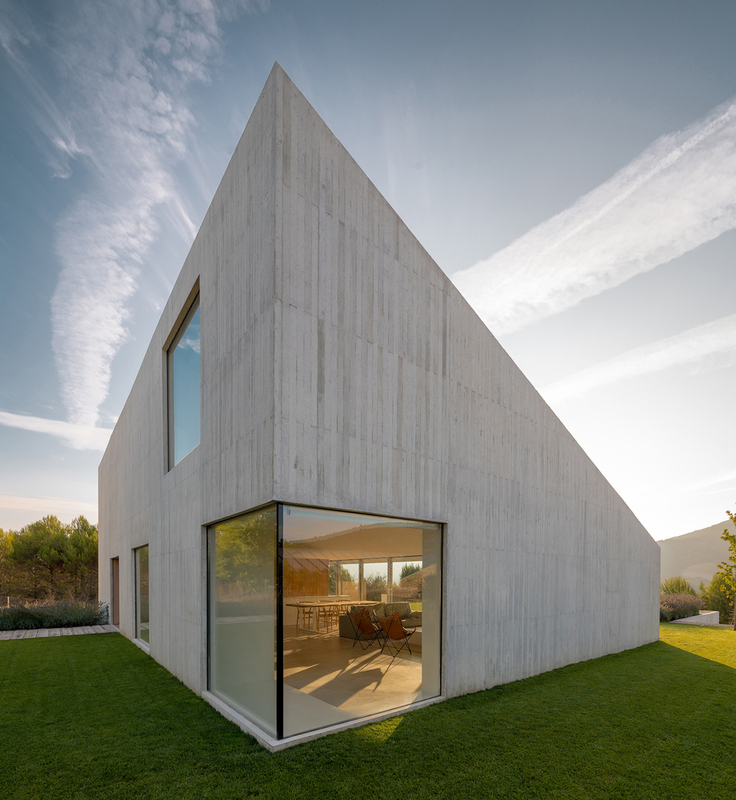 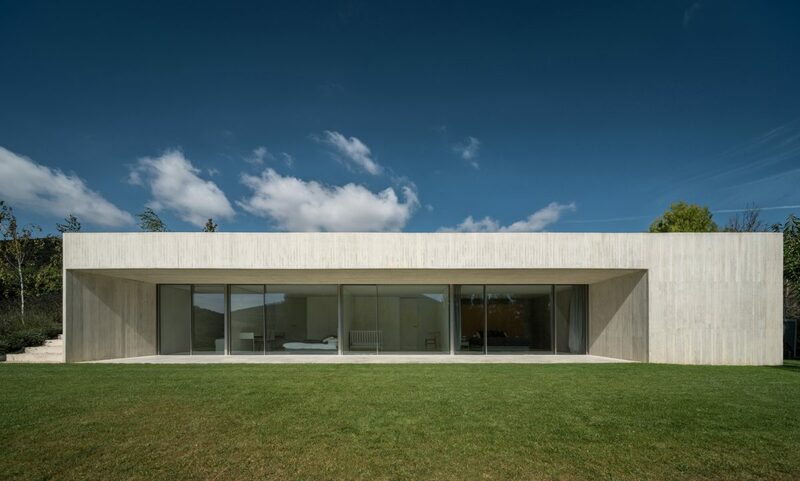 The house tries, from its trace and its materiality, to be related to the measure of the place, just a simple white piece of concrete.